Mali Mish - Day 114: Exploring Charleston and a visit with Santa. Day 114: Exploring Charleston and a visit with Santa. This morning the girls received some very good news. 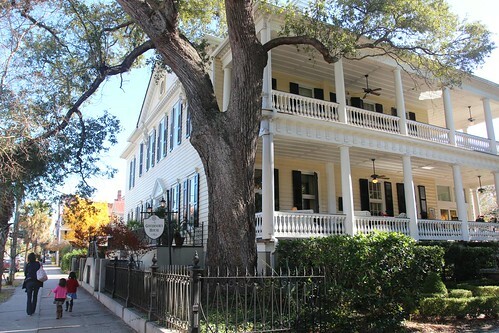 We are heading down to Savannah tomorrow after our stay here in Charleston. 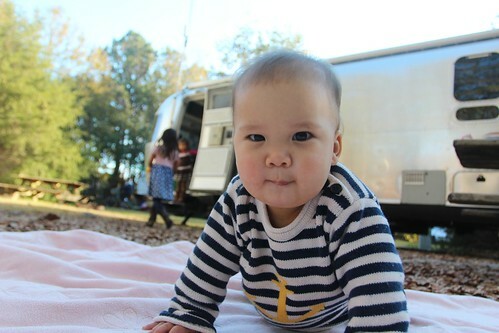 Although Savannah is Marlene’s favorite city from our last trip, that is not the news that got Ava so excited. This morning, we officially reserved 4 nights at Fort Wilderness in Walt Disney World and booked our tickets for the Magic Kingdom. Our stay here in Charleston is a lot shorter than we had hoped for. Getting reservations at Fort Wilderness was not easy this late in the game. Our reservations is within 10 days and we still had a few places to visit before we made it down to Orlando. That means we only have today left to see some more of Charleston. We drove downtown from the campground once again via the bridge and found a place on the street to park near one of Marlene’s favorite places to eat from our last trip. 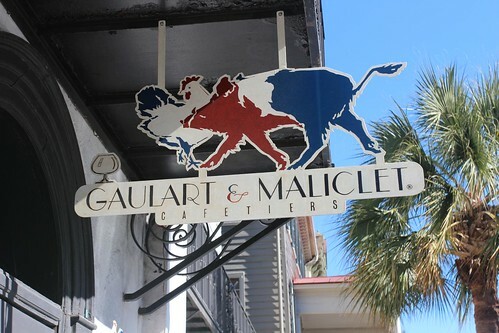 The restaurant is called Gaulart & Maliclet. In case the name and the blue and red sign didn’t give it away, it is a little French bistro. 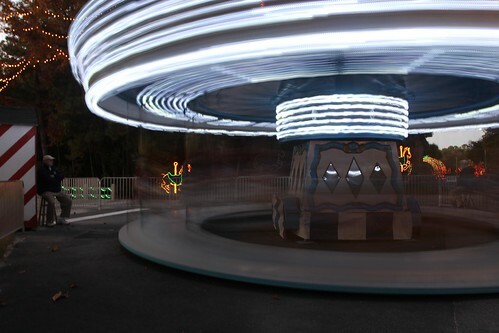 This place is also often referred to as Fast & French. It is just a little hole in the wall place that happens to serve some great French street faire. 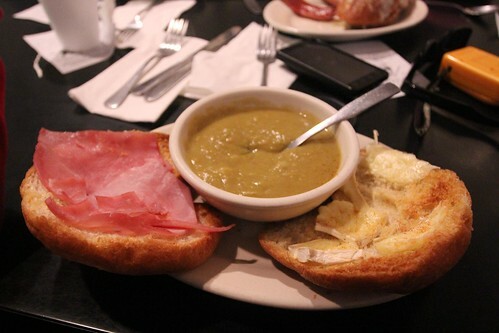 I know this is neither a cheeseburger nor a Kentucky Hot Brown that you have come to expect, but this ham and cheese croissant was delicious as was my split pea soup. Marlene was very excited about her soup and pate with slices of French baguette. This is a photo of her getting caught (insta)gramming. 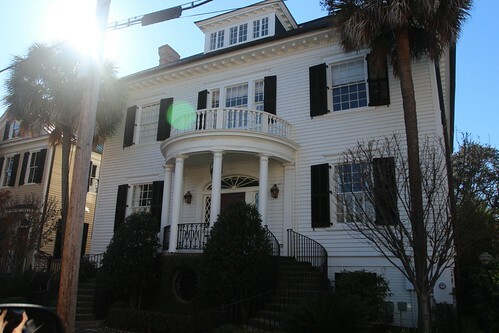 After our French fast food lunch, we walked back to the car through some of Charleston’s beautiful streets. One of the best part of being here is looking at all of the beautiful houses. This one is just one of thousands of amazing homes in this city. For about the last month or two, a fire was rekindled that had been smoldering in the back burner for a few years since we started traveling by Airstream. Well before we got into RVing, I was bit very hard by the sailing bug. 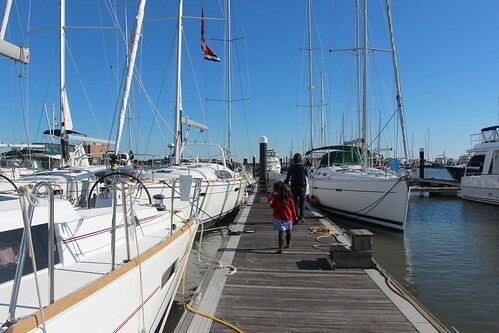 Having owned 2 sailboats, several sailing dinghies and lots of money spent at yacht clubs and bare boat chartering to visit the coastal islands of California, I thought my sailing days were behind me once we became parents. Thanks to a couple of friends, I am now considering at some point in the future getting back on a cruising sailboat with hopes of seeing the world by sea. 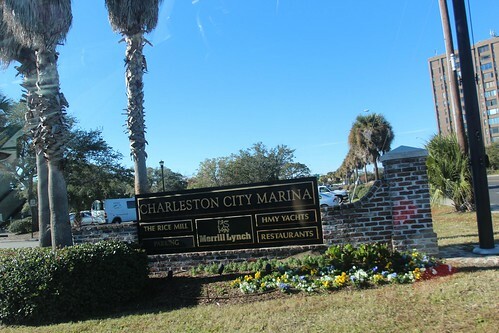 Marlene was kind enough to humor me and agreed to park and walk around the docks of Charleston City Marina to look at some boats. Reader beware, the next part of this post might contain nautical terms that can cause narcolepsy for those uninterested in marine vessels. 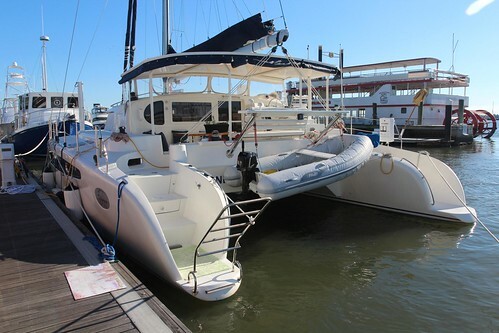 This is a 43 foot Dolphin catamaran. Catamarans are great because they have lots of space inside and out. They don’t heel over under sail and can navigate in very shallow waters and even beach right up to a sandy shore. The problem is that they can cost more than 2 to 3 times of a monohull. 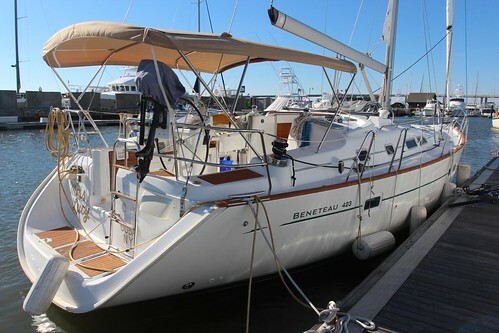 This one is a 42 foot Beneteau monohull sailboat. This is a very modern design and would make a great boat to live in full time as well as coastal cruising. The open transom with dual helm stations, fin keel and skeg rudder are designed to be fast and fun. These kinds of modern boats typically are not as well suited for long ocean passages. 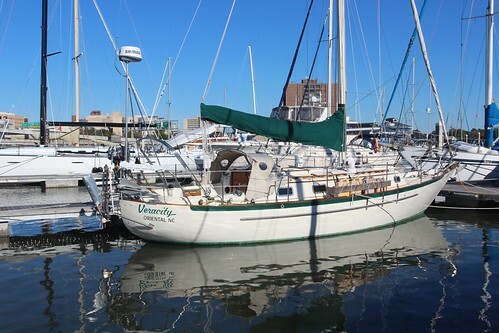 This is a more traditional monohull that is designed to go places. The long overhang in the bow, double-ended canoe stern makes for a very seaworthy vessel. What you can’t tell under the surface of the water is the full keel with a protected rudder that can withstand a direct impact at sea which can potentially save your life during passage. This sailboat here is the type of boat I am into. 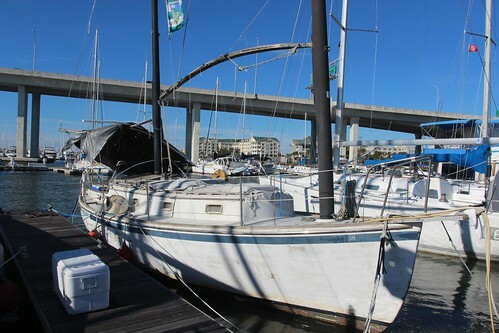 This monohull has a bowsprit, cutter rig, canoe stern and full keel makes it a traditional go anywhere kind of vessel. This one I believe is a 36 foot Hans Christian Cutter. I just love they way they look, too. All preferences aside, this is probably the only boat I can afford to buy right now. I don’t know what is going on here. I am pretty sure that boom isn’t suppose to be bent like that. 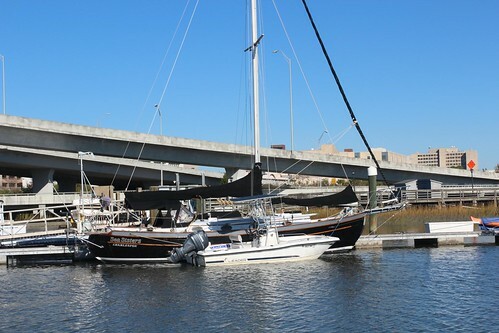 OK, sorry that some of you had to endure my inner sailboat geek during our marina visit. I don’t know how I am going to do it but one day I will convince Marlene that going around the world in a sailboat is something she will not be able to live without. 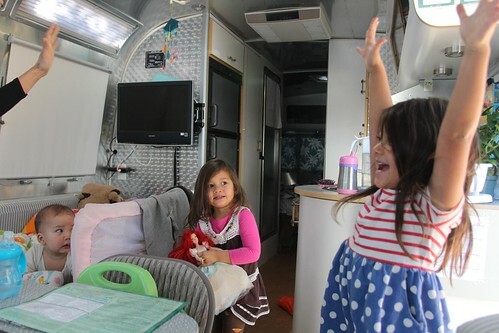 Until then, I am thankful to be able to see the country with my family in our awesome Airstream, while playing the lottery. 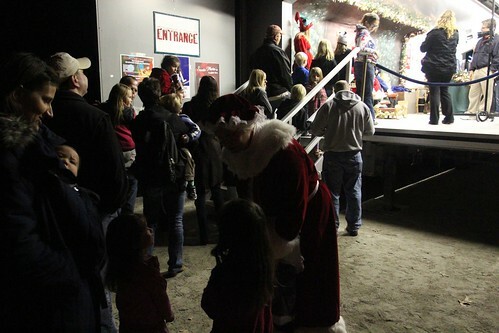 We made it back to James Island County Park and got the kids dressed to hit Santa’s village once again. 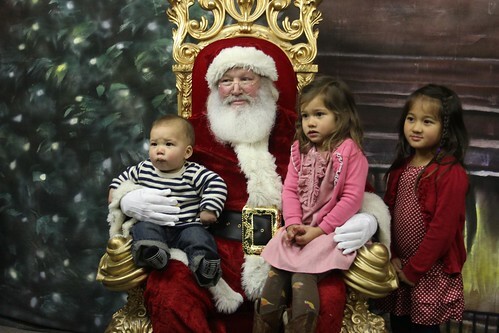 We figured while we are here, we should take the kids to see Santa so they can tell him what they want for Christmas. 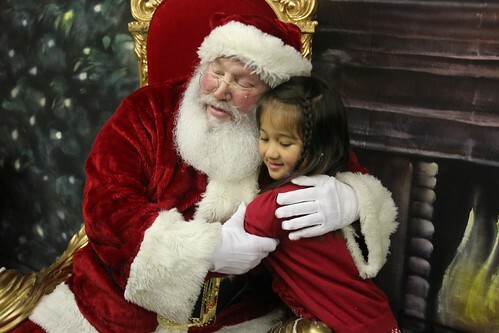 And to our surprise, Santa even brought Mrs. Claus with him down from the North Pole. 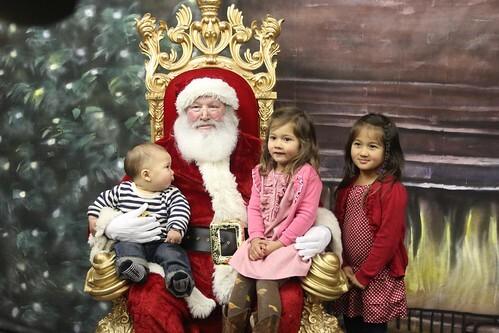 This year, Ava is officially off of Santa’s lap. I don’t think she really minds as long as the big man brings her razor scooter down the chimney. Mila is loving it and told Santa that she wants a slinky dog for Christmas this year. 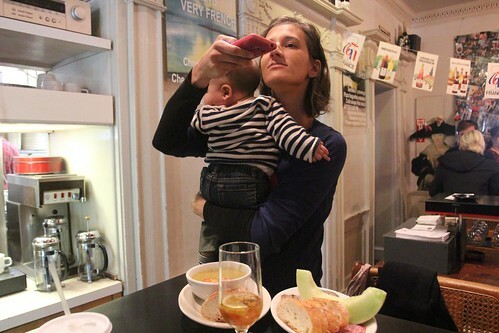 This being Luka’s first time, we didn’t really know what to expect. 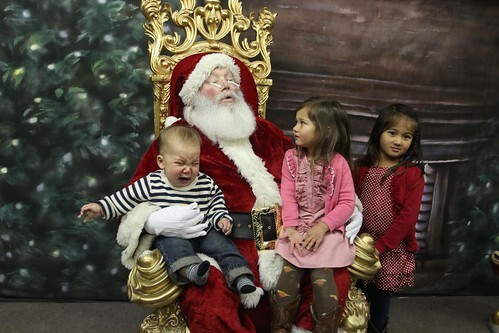 It took him a few moments to finally realize that some guy with a big white beard is holding him. That is when all hell broke loose. Ava did eventually get some alone time with the jolly ol’ fella and let’s hope that they didn’t get put on the naughty list after Luka’s ordeal. Day 113: Meeting up with Marlene’s cousin in Charleston.